Walk into this stunning spacious patio home. The vaulted ceilings are inviting! Spacious living room lets you look onto the back covered patio. The gas fireplace provides warmth and beauty. Finished garage. The yard is maintained by the HOA. 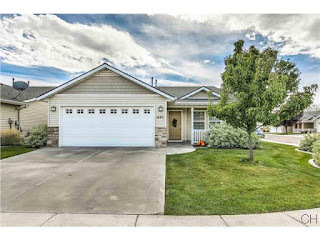 Must come and see this beautiful 3 bed 2 bath, 2 car garage, 1400 sq ft Patio Home. Enjoy time on the Front and Back porches. Tranquil setting for this 4 bedroom 2 1/2 Bathroom home. NEW Wood Laminate Flooring in Kitchen, Dining, Living & Family Room and new carpet upstairs. Arch entry and breeze way between dining and family room. Close to schools, shopping, freeway and theaters. 4th bedroom can be used as an office. Beautiful landscaping front and back. Come home today!